The novel is on schedule for it’s Fall 2012 release. Stay tuned for a cover reveal and sample chapters. To receive updates about the release date please sign up for the mailing list. What is After The Darkness? After The Darkness is an ongoing fictional series set in a post-apocalyptic world. There are no zombies, werewolves or vampires. It is a story about oppression, slavery and the will to stand up against the wrongs in the world despite the cost to a person’s life and livelihood. This story is set in a very real world that is in my opinion scarier than any supernatural one. Much like a television show, the books will be separated into “seasons.” Each season will have six episodes which end on a cliffhanger. Seasons are self-contained. Central story questions will be resolved by the end of the six books. Each season will be complied into an omnibus and a paperback edition will be available. Thanks to Sean Platt for creating this “seasonal” format and giving me the inspiration to apply it to my work. Lots of hugs. New releases are priced at $1.99. This will give readers an opportunity to get the books at a significant discount. Please join the mailing list so that you can be notified when an episode is released. On July 15 and July 16, 2012 the second episode of this series will be FREE. So please pick up a copy at Amazon. I will also do a limited time freebie for the third episode as a gift to readers. Please join the mailing list to be notified of the freebie. Each episode is a novelette, approximately 10,000 words – 40 pages. How often will books be released? Every 60 days. While I would like to release every month, my process requires a longer time frame. Once again, please join the mailing list to be notified of new releases. If you have questions about this series, please post them in the comments section. Update July 13: I have uploaded the corrected version of Episode #2. It will take 24 hours to publish, because of this the episode will be free July 15th and 16th. I want to send my apologies to everyone. I have made a huge mistake! 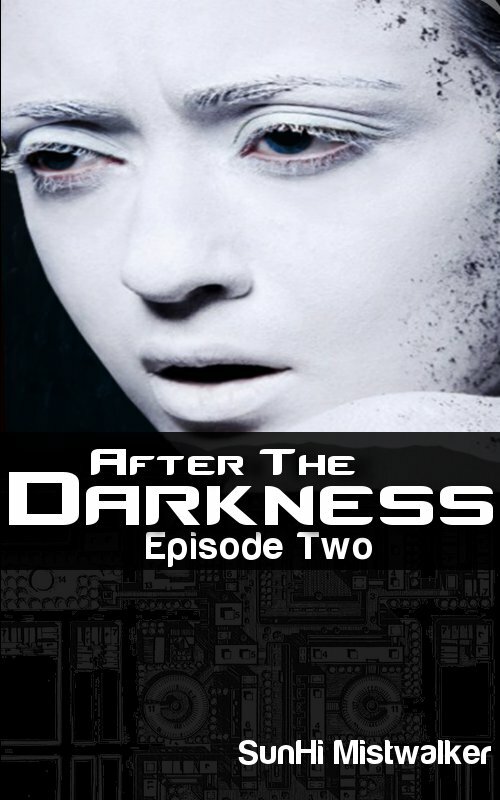 I mistakenly uploaded the unedited version of the second episode in my After The Darkness series. Thanks to a gracious reader Jimbo the mistake was discovered. I am fixing this error tonight. The CORRECTED copy of this book will be available for FREE from July 15th and July 16th. Once again, I apologize. Edited to add: I have decided to double check the correct version of this book just to make sure all of the edits are there. The edited version will be available July 14th. 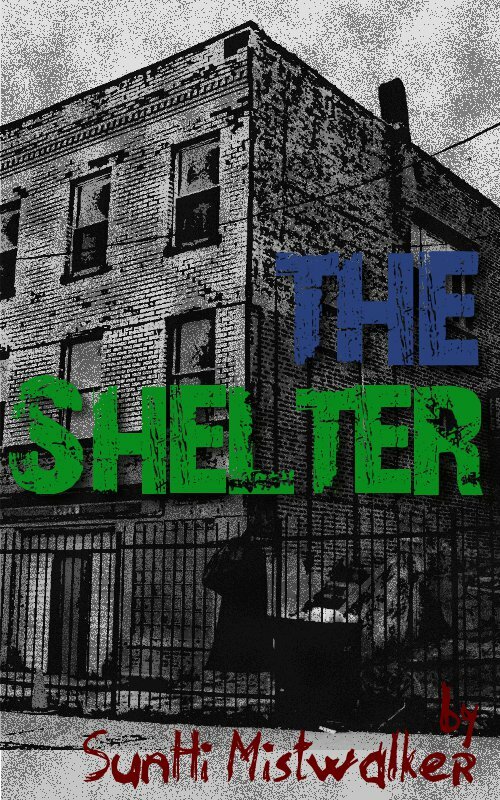 “The Shelter” is free on Smashwords for a limited time as part of a July summer sale. Use the coupon code: SSWIN to get your free copy now. In other news…I’m still working on the edit of my novel. It’s the follow up to “The Shelter” and it looks like it may expand beyond the 40,000 words I originally planned. It’s funny how these things happen. It’s grown quite a bit since I first began my edit. But the additions are definitely improvements. I can’t wait to share with you guys! Join me for the 2012 Dystopia Challenge. How many dystopian books can you read this year? Well, I’m going for five. If you’re a reader of my books, you know that both The Shelter and After The Darkness are dystopian. The latter is a cross between environmental post-apocalypse and dystopia. Feel free to visit the Dystopia 2012 Challenge page and if you feel so inclined, make one of my books part of your list to review. You don’t need a blog to join, you can join the challenge on Facebook, Twitter, Goodreads, Shelfari or any other social media site you want. I will periodically update this page, so please check back.